Reviewing 10 years of Covergreen we run into many special memories. But also special customers! Donders! 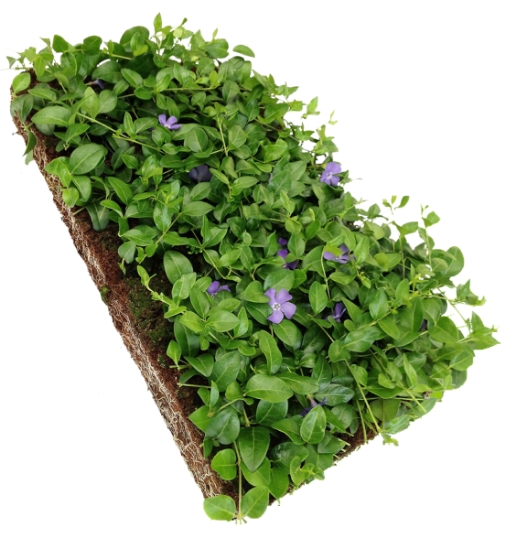 & van der heiden, Denkers in tuinen, have been working with our ready-to-use plant mats since the very beginning of Covergreen. Denkers in tuinen realised beautifull gardens, from city gardens, to maintanance friendly commercial gardens. They often process the Covergreen® ready to use ground covers in these state of the art designs. Monique Donders: ‘The mats ensure an instant winter hardy and representative result for our customers. It is a perfect sosultion for inclines, you can fixate the fround immediately. And last but not least, using redy to use ground covers prevents weeds from seeding. Therefor the maintanace is minimal. We are looking forward to more beautiful results of this special cooperation. In the picture you see a beautiful result of the cooperation of ‘Denkers in tuinen’ and Maas Architecten Lochem en Zeist.